About 10 days ago we hit 65F and then 70F. The next day 63; then cold, then snow, and ice, then a slow warm up. 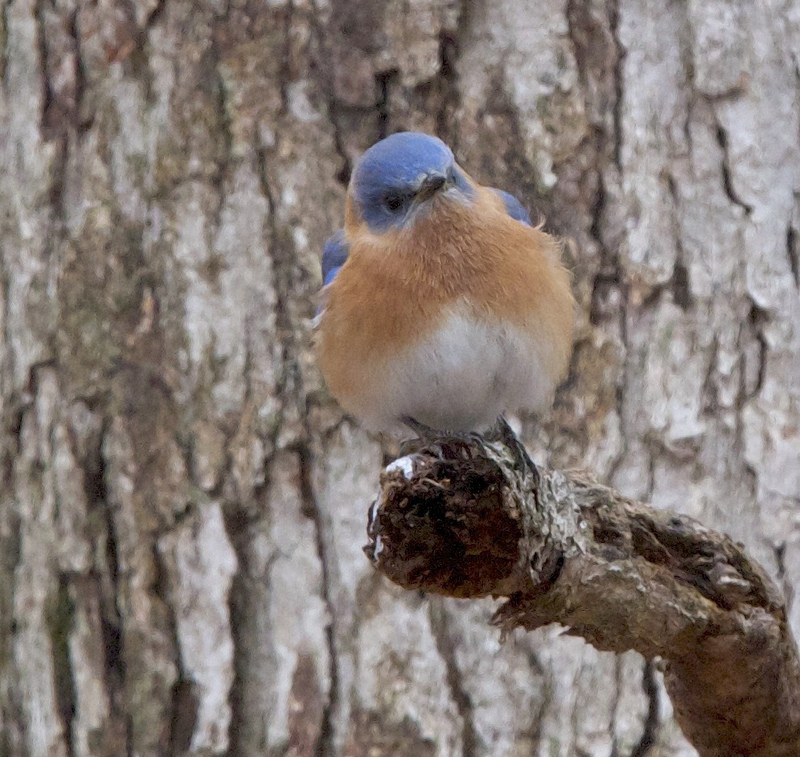 Today the bluebirds seem lethargic and disinterested in the nests they started 10 days ago. Now, the English House Sparrows have occupied all the houses despite my attempts to trap and relocate them this February. I actually caught and removed 17 House Sparrows. They are always replaced (I guess) by similar numbers of House Sparrows. SO, the fight is on !! 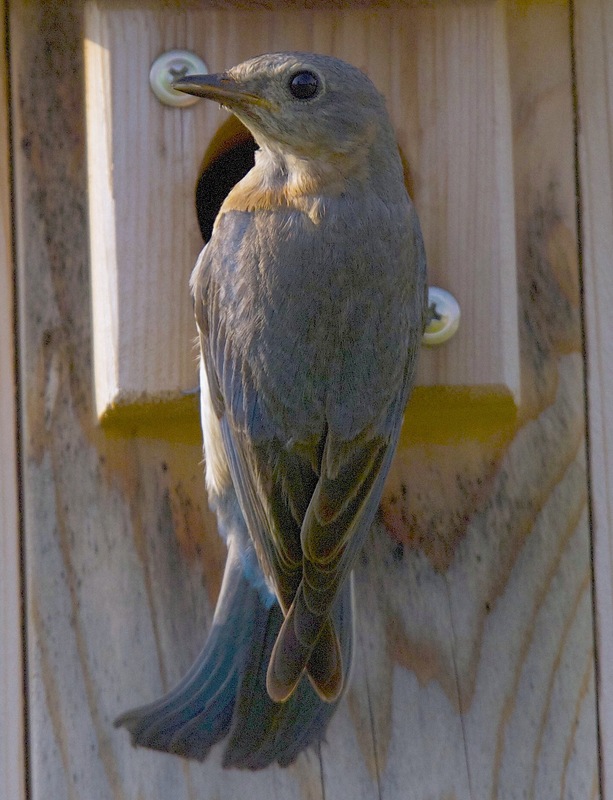 I have to spend time each day to ID and remove sparrow nests (they can build a full nest in one day), and ID and leave bluebird nests in each house. House sparrows are not sparrows at all; they are English Weaver Finches. House Sparrow populations declined by over 3.5 percent between 1966 and 2010, resulting in a cumulative decline of 81 percent, according to the North American Breeding Bird Survey. Partners in Flight estimates their global breeding population at 540 million with 13 percent in the U.S., 2 percent in Canada and 2 percent in Mexico. They rate an 8 out of 20 on the Continental Concern Scale and are not on the 2012 Watch List. Nest holes in trees and nest boxes are valuable commodities for birds that require them for breeding. House Sparrows are fierce competitors for these, and their abundance can squeeze out some native cavity-nesting species. After becoming common in North American cities, House Sparrows moved out to colonize farmyards and barns during the twentieth century. With the recent industrialization of farms, House Sparrows now seem to be declining across most of their range. They will kill our native cavity nesters (i.e.. Bluebirds, Purple Martins, etc. ), in competition for their nesting space. to say that your posting was really mind blowing!